With political tensions rising in the nation of Turkey, her Lutheran Church keeps trusting in Christ. “Some foreign pastors have had problems with their visas, and one Protestant pastor has been jailed with unclear charges for months already,” shared Rev. 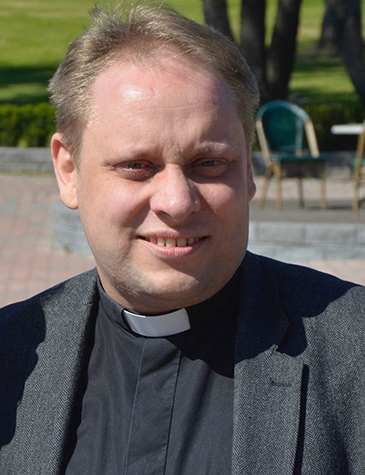 Ville Typpö, pastor of Istanbul Lutheran Church. “Since several terrorist attacks and the unsuccessful coup last summer, the political climate is very turbulent,” he continued. The Turkish people recently voted to put unprecedented power in the hands of their Muslim president, Recep Tayyip Erdogan, who now has the legal green light to to personally appoint or dismiss ministers, select judges and rule by decree if he deems it necessary. Turkey is a strongly Muslim nation, with less than 0.2% of its76 million people identifying as Christian. Among those Christian believers is the tiny Istanbul Lutheran Church, which includes about 200 members across four congregations. Despite fears of incarceration or worse, the church perseveres. Through the translation of various materials into the Turkish language, Lutheran church leaders are preparing a solid foundation for their people in the way of Christ. In addition to the Small Catechism and Large Catechism, LHF has recently published Freedom of a Christian and Spirituality of the Cross in Turkish. These books have proven very useful for teaching in the Turkish Lutheran church. That’s where LHF’s books come in. Freedom of a Christian helps the readers to understand what they can, can’t, and shouldn’t do within the confines of Christianity, while Spirituality of the Cross teaches how to live a Christian life by serving God and one another while living a typical life.